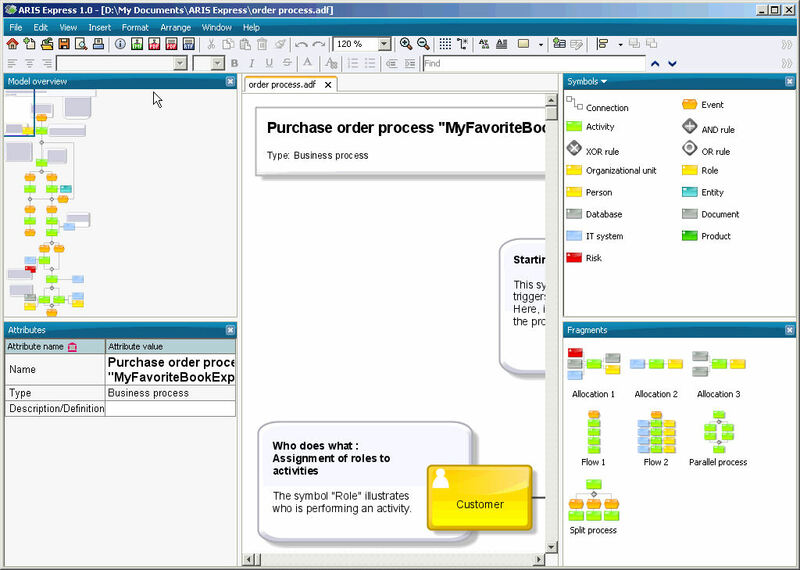 What to find on the start page of ARIS Express and how to create new models or open existing models from there. 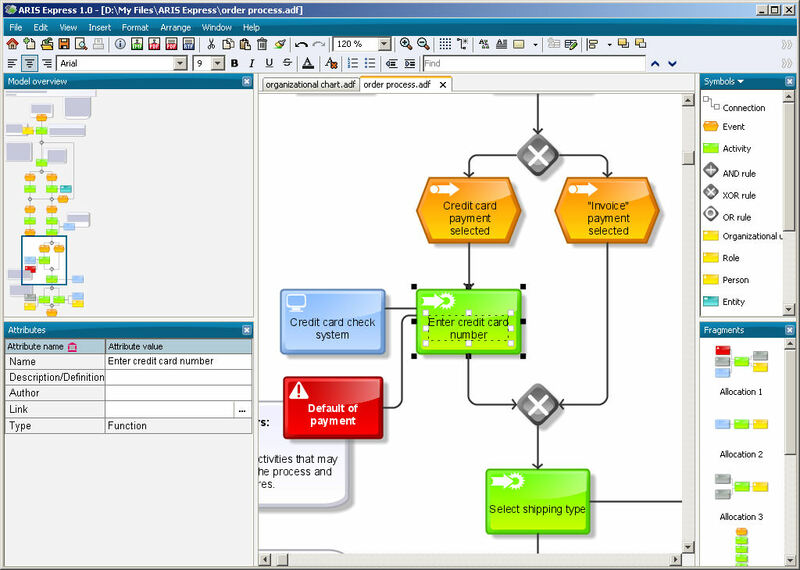 Overview of the ARIS Express modeling area. 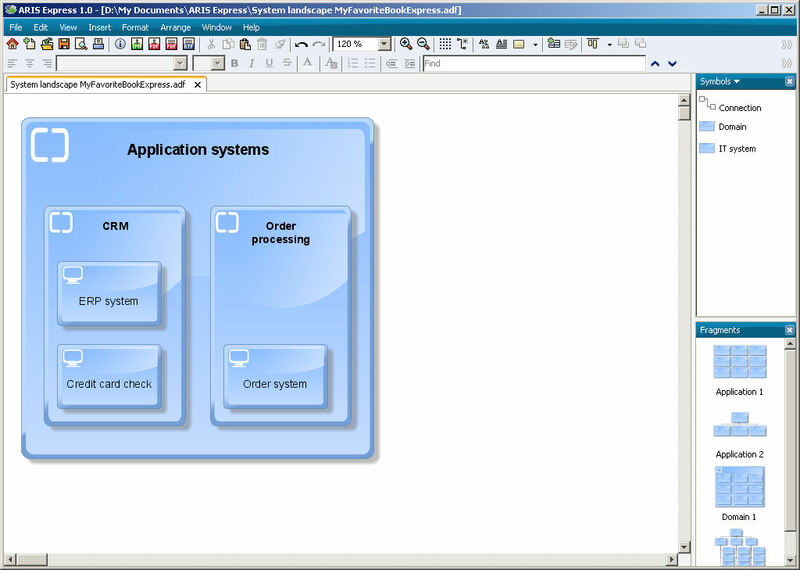 How to customize the ARIS Express modeling area. 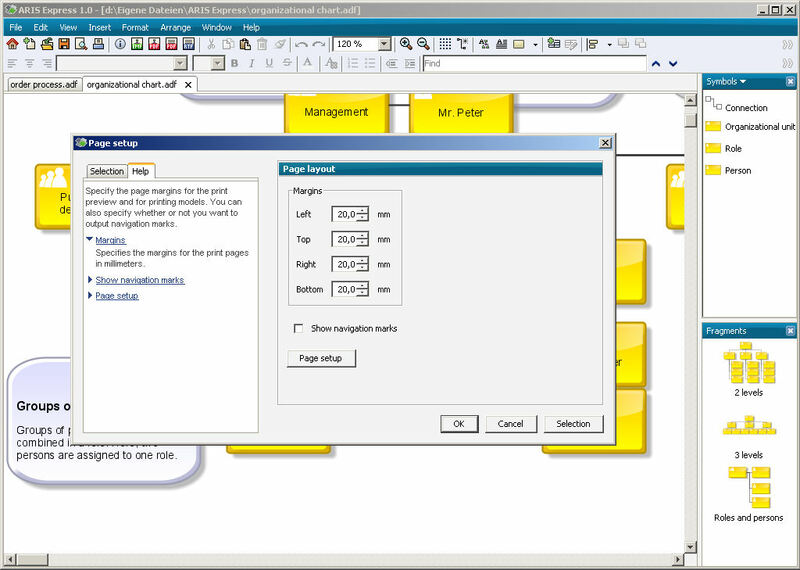 Learn how to save frequently used modeling components as so-called fragments in ARIS Express and how to use them. 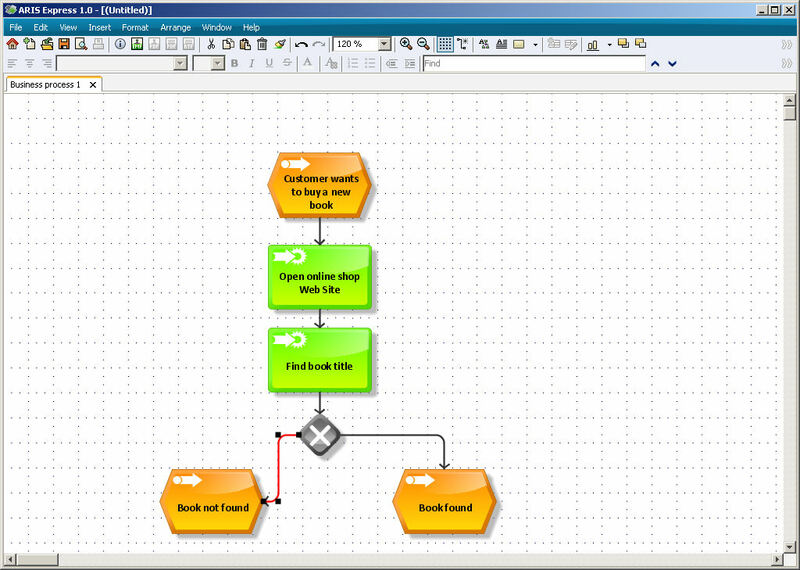 Learn how to create multiple objects in ARIS Express in one step by inserting text from the clipboard. 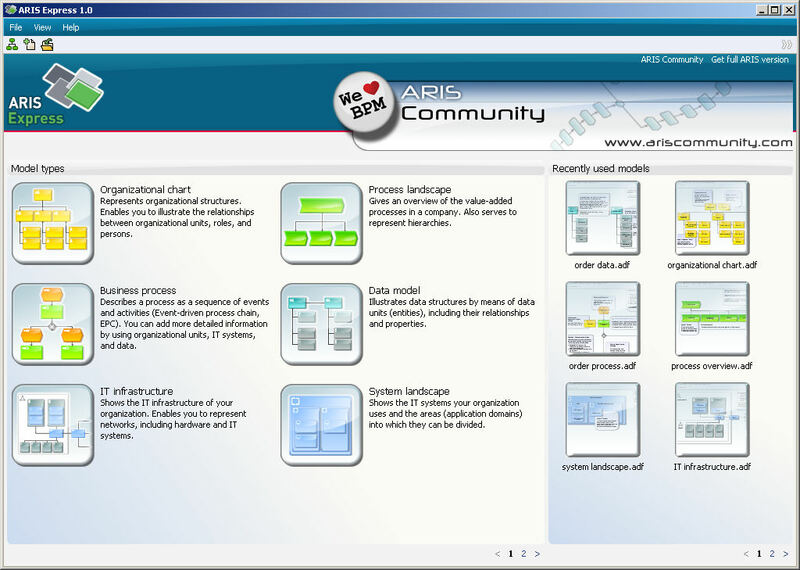 Learn how to obtain information on ARIS Express, post your own articles, and discuss topics with other ARIS Express users. 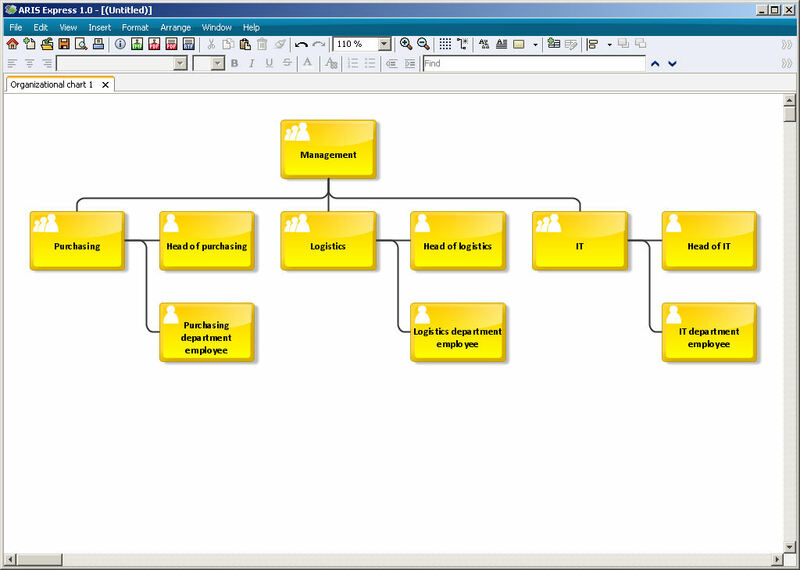 How to use SmartDesign in ARIS Express to create hierarchy models similar to organizational charts. 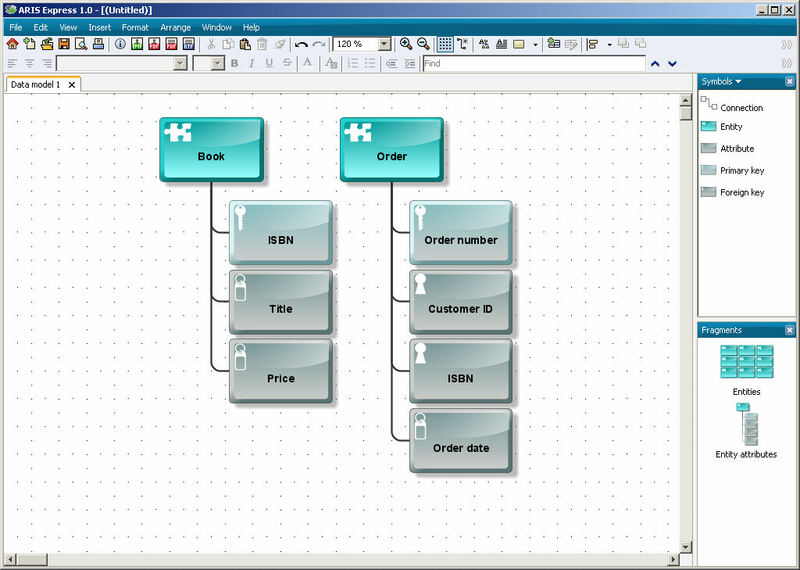 How to use SmartDesign in ARIS Express to create process models similar to business processes. 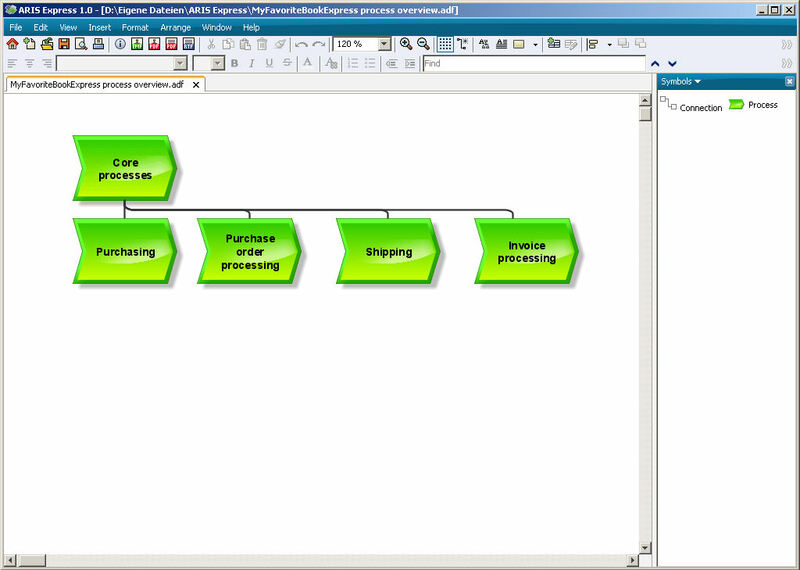 How ARIS Express assists you in modeling BPMN diagrams. 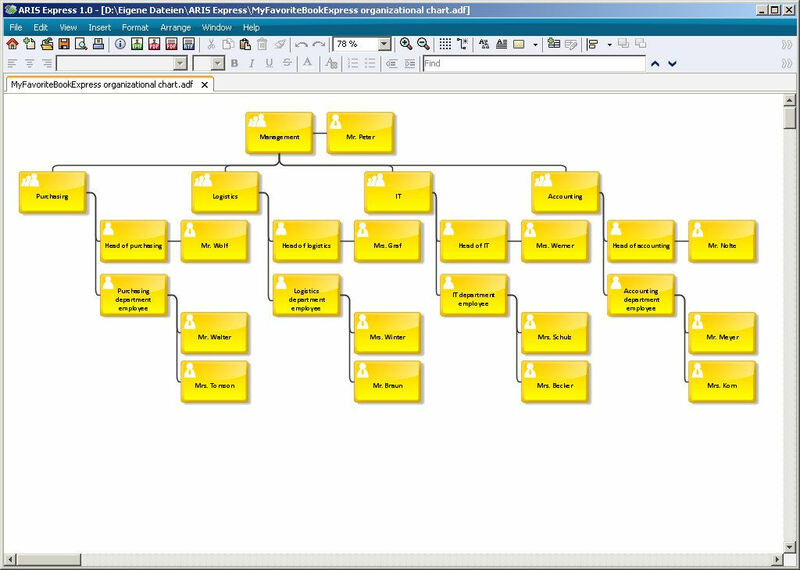 Learn how to model organizational structures in ARIS Express, and understand the meaning of symbols used in the "Organizational chart" model type. 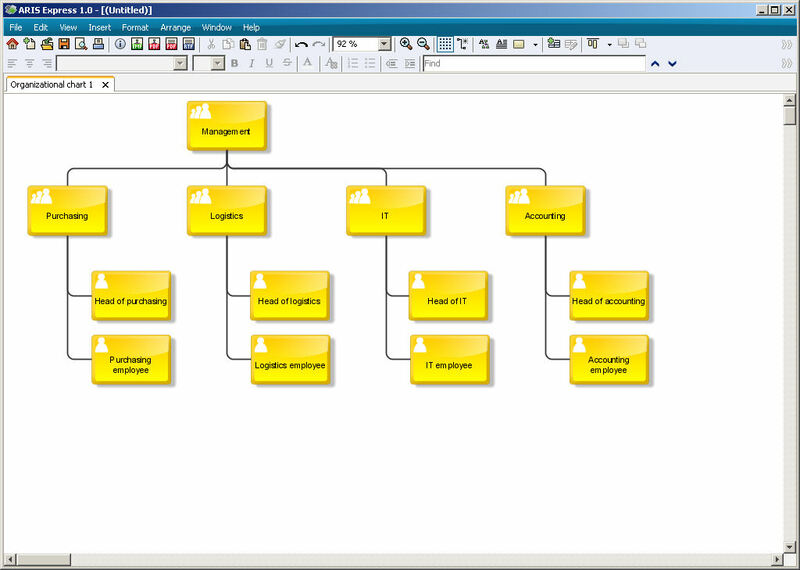 Learn how to represent core processes of a company in ARIS Express. 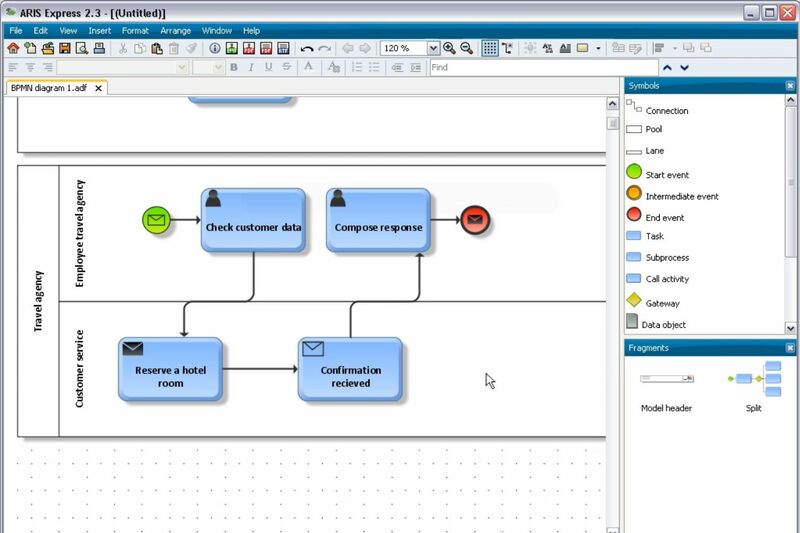 Learn how to model process steps in ARIS Express, and understand the meaning of symbols used in the "Business process" model type. 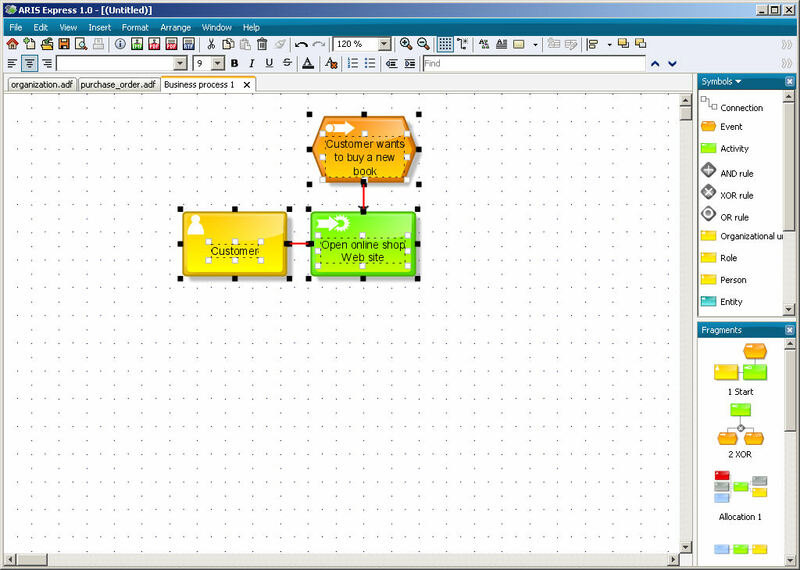 Learn how to model data in ARIS Express, and understand the meaning of symbols used in the "Data model". 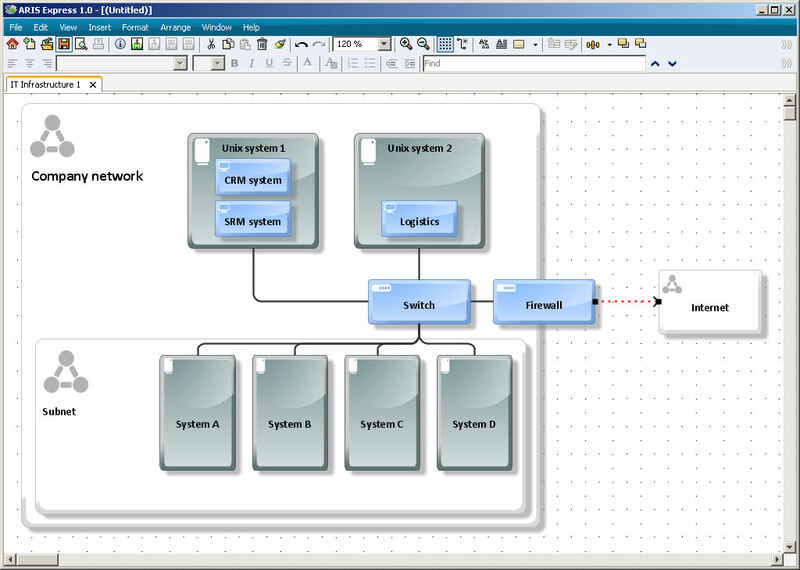 Learn how to model IT infrastructures in ARIS Express, and understand the meaning of symbols used in the "IT infrastructure" model type. 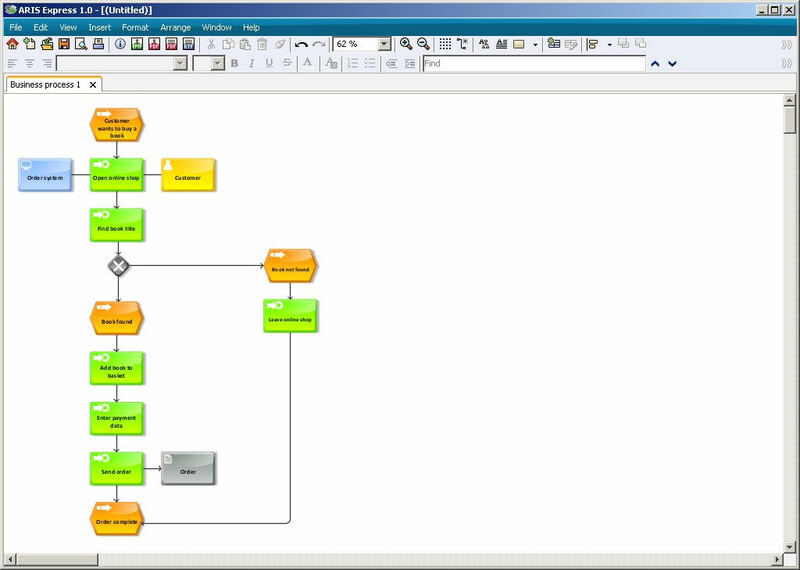 Learn how to model system landscapes in ARIS Express, and understand the meaning of symbols used in the "System landscape" model type. 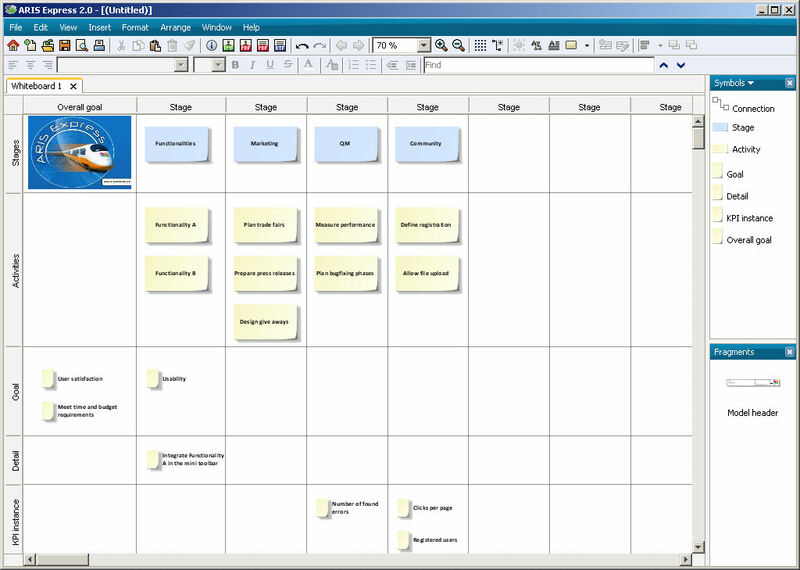 Learn how to structure ideas and tasks with a Whiteboard model in ARIS Express. 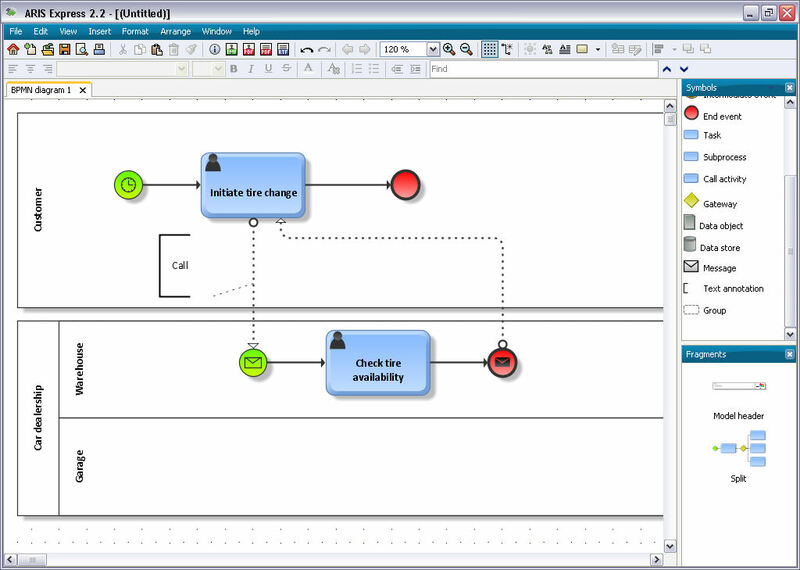 Learn how to model BPMN diagrams in ARIS Express and what specific BPMN modeling support ARIS Express provides.